Beds are only part of the Chromes Bones collection now at the Posh Puppy. 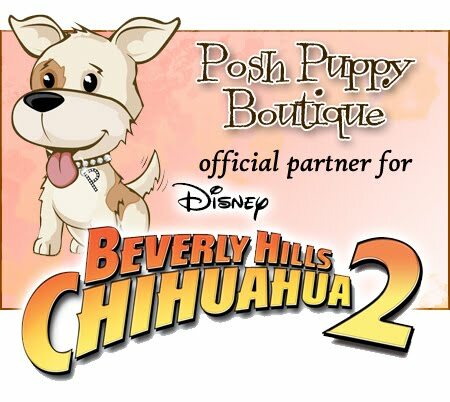 Chrome Bones is now part of the Posh Puppy Boutique’s designer line-up. With a selection of high-end beds, feeders, carriers and collars, all of these products complement the Posh Puppy’s extensive array of top designers. · The Safari Bed Black ($245) is an ostrich design with water-resistant lining, a fur textured blanket and interior and chrome plated hardware. It has a washable interior and comes with dust bag packaging. The small size measures 24 inches long by 18 inches wide while the large is 36 inches long by 24 inches wide. · The Safari Bed Brown ($245) is identical to the black model other than the color. We also carry three Chrome Bones carriers, all designed for smaller dogs. The Silver model ($420) is made with silver leather and brown cow hair. It has a soft fur texture interior and embossed logo, two interior pockets, chrome-plated hardware, a fringe design and perforated leather flaps. It comes with a matching fur texture blanket. It is 16 inches long by 10 inches wide. The Chrome Bones silver carrier is made with silver leather. The Serengeti Silver Carrier ($430) is made with silver leather. It features braided handles, a soft fur texture interior and embossed logo, two interior pockets, chrome-plated hardware, stud button detail and perforated leather flaps. It comes with a matching fur texture blanket. It measures 15 inches long by 10 inches wide. The Fringe Carrier in Silver ($465) is also made with silver leather and has a fringe design. It also includes braided handles, a soft fur texture interior and embossed logo, two interior pockets, Swarovski hardware, stud button detail and perforated leather flaps. It comes with a matching fur texture blanket. It measures 15 inches long by 10 inches wide. Our Chrome Bones selection also includes four styles of leads: CB Bling Bones, CB Metallic, CB Mini Quilt and CB Serengeti. The CB Serengeti line has stud leashes in gold ($135), silver ($135) and bronze ($135). All three feature a metal fade design with leather back, hand crafted detail, detailed studs, a Swarovski Crystal buckle and charm, gold plated hardware plus a box and dust bag packaging. All three come in both small (5 feet long by ½-inch wide) and medium (5 feet long by ¾-inch wide) sizes. Bling: that’s all you need to know if you want your dog to stand out from the crowd. The CB Bling Bones line has 14 leads in a variety of colors, styles and prices. Among them are the Boa Multi Stud Leash ($160) in red, pink and blue. Each leash is made with calf suede, has snake skin print leather tabs, a suede fringe and chrome plated hardware. Small and medium sizes are available. In addition to Chrome Bones, the Posh Puppy Boutique carries an extensive selection of high-end pet products from 30 top designers. They include Central Bark Couture, Hip Doggie, Disongbeni, Idawg, Mochi & Jolie, Puppy Angel, Susan Lanci Designs and others. This Chewnel No. 5 Dress has Swarovski crystals. Summer is the perfect time for family gatherings, outdoor parties and displaying your fashion sense to the world. When it comes time to getting your four-legged friends ready, the Posh Puppy Boutique is here to help. The key ingredients for fashion-first pets are: designer outfits, toys and treats, and not always in that order. Toys depend on your particular pooch. But have no fear, the Posh Puppy is here. Plush toys are perfect for showing your sense of style and sense of humor. For example, look at the Small Sniffany & Company ($17) in blue with a wide white ribbon attached. The larger version is $19. For something a bit more colorful, switch to a Chewy Vuiton “purse” ($12 for small, $15 for large) in white with an attached handle. Your little princess can proudly display her style. Have your pet ask your friends to take them shopping. After all, your dog has their own Barkingdales Credit Card Plush Toy ($15). The Aikiou Bowl puzzle toy will keep your dog entertained. Keep your pet’s mind—and possibly those of your children—involved in solving the Aikiou Bowl Puzzle ($32). Hide food inside the many compartments and let your dog spin the wheel with their nose or paw, uncovering a savory reward. Color choices for the paw-shaped model include pink, brown and blue. We also sell the two-toned Aikiou Junior ($25), which is round. Several color options, such as brown and pink, are available. Stuff your pet’s puzzle with treats they will surely enjoy, especially on a hot summer’s day. Our Freezy Pups Kit ($25) creates bone-shaped ice cubes in doggie flavors. Refills come in white cheddar cheese ($10), sweet potato ‘n maple ($10), juicy apple ($10) and chicken soup ($10). All dogs, regardless of their age or size, love Kongs ®, especially when stuffed with treats. For example, the basic red hard rubber Kong ($15)—which comes in sizes from small to King—are even more attractive to your pet when filled with Kong Stuff ‘N Snaps ($16). These peanut butter treats fit inside the Kong then require your dog figure out how to get them out. Toys and treats are great for keeping your pooch entertained at your next party. Showing your fashion sense and theirs, though, is where the Posh Puppy Boutique shines. We have thousands of designer outfits, dresses, shirts, bandannas, hats, visor and accessories to pick from. Among our dresses is the Chewnel No. 5 Paris Parfum Tutu Dress With Rhinestones ($75). This vibrant yellow and white dress is lined with Swarovski crystals. It comes in sizes from extra small to large. Sports fans might like our Torch 2012 White Dog T-Shirt ($20). Sizes range from double extra small to large. For something a bit more feminine, consider our pink Little Piggie Ruffle Tank ($52) with ruffled sleeves and red gingham ruffle trim. This Blue Ice Princess Dress just arrived. Your little girl dog will look very cool in our Blue Ice Princess Dress ($40) from Hip Doggie Clothing, which is now available at the Posh Puppy Boutique. Sizes range from double extra small to extra large to fit most princesses. We are constantly adding fashionable, colorful and chic new products designed with your pet—and your pet’s home—in mind. Among the latest items are a series of water repelling Messy Mat placemats, which are designed to keep your hardwood floors safe from pet food and water spills. Each 12-inch by 19-inch mat features a layer of water repellent laminated cotton on the top bonded with a non-skid surface and sewn together with an oilcloth bias. Messy mats come in many fashionable designs. Designs include the Classic Damask ($40) in black and white, the colorful Coco Cabana ($40), Gold Tossed Flowers ($40) with brown trim, Ironswirl-Magenta ($40) and Purple Mum Flower ($40). Keep your pet’s toys organized in a stylish and modern collapsible toy hamper ($90 each). Each hamper features a hand-sanded frame available in black satin, espresso brown or unfinished poplar finishes. When open, the hampers are more than 9 inches deep, nearly 12 inches wide and 13 inches high. Fabric design choices include Brown Damask, Black Damask, White and Teal Dots, White and Red Dots, Chevron Zig-Zag, Pink and Gray Damask, Dog Silhouette in Brown and Cream, Stripes and several other patterns. We also just increased our already large selection of dog shirts with some new tanks in a variety of summertime designs. Many of these shirts come in a wide of colors and sizes from extra small to 6 extra large. Unique doggies designs include the Dog Symbol ($30), Anarchy Patch ($30), Bob Marley ($30), East Coast Choppers ($30), Who’s Taking Who For a Walk? ($30), New York Diva ($30) and several others. Add color and style to your dog’s outdoor experience while also protecting him or her from the sun with one of our new Rashguard shirts. Each shirt has a UPF rating of 50+ and blocks 97.5 percent of UV rays. They are also lightweight and dry quickly. Sizes range from extra small to 5 extra large. Shirt designs include Tuga Red ($29), Tuga Purple ($29), Flora Swirl Blue ($29), Tiki Forest ($29) and a host of other bright, cheerful designs. Our Bronze Bamboo Cat Harness is perfect for safely walking your kitty. Psst! Do you want to hear a secret? Not all pet owners are exclusively dog people. Some dog owners also have cats. Here at the Posh Puppy Boutique we also cater to cats. Let’s face facts. Sometimes our busy lifestyles or limited dwelling sizes make owning dogs impractical, but we still want our furry friends to be comfortable and stylish. We can help. Whether it’s just being cautious for trips to the vet or letting your favorite feline safely explore the great outdoors, consider equipping him or her with our stylish Bronze Bamboo Cat Harness ($68). With a beautiful bronze satin finish, this harness is made with luxurious—and stylish—fabrics sure to get attention. Available in two sizes, these harnesses are handmade in the USA. If you prefer something a bit more masculine, consider our Red Bandana Cat Harness ($25). This Kitty Holster design is made with 100 percent cotton, which is both breathable and washable. Keep your kitty clean using two products from Pet Head: our Pretty Kitty Detangling Spray ($11) designed to detangle knots, tame flyaways and condition skin plus Feeling Frisky Waterless Spray Shampoo ($11). Simply spray the shampoo on and brush for a quickly clean cat. It is free of parabens, sulfates and DEA. Our double decker stroller lets you walk two pets. Take both your cat and small dog for a protected walk in our Original Double Decker Pet Stroller ($425). Each removable section has doors both front and back plus washable pads to keep your “kids” comfortable and brakes to keep the stroller secure. The stroller can handle pets up to 60 pounds. If you show your dog or cat, this stroller has another important advantage: this stroller doubles as a portable grooming table. While taking your cat out for a stroll, either wearing a harness or safely ensconced in a stroller, show their fashion sense with our Princess in Peridot Velvet Collar ($57). Set with golden topaz and jet black stones, this custom-made collar is available for dogs or cats. Dog sizes range from extra small to 7 extra large. Another great collar is our soft cotton rainbow-hued Sandbox Adjustable Cat Collar ($29). Equipped with a breakaway buckle, it comes in three sizes just for cats. A good option for girl kitties is our Cherry Soda Adjustable Cat Collar ($29) in bright pink. Keep your cats’ claws sharp and your furniture intact with our stylish and practical Scratch Pad ($160) designed to compliment your furniture. Using an ebony, espresso or white wood frame, it has a replaceable pad at the perfect angle for your cat. These and other great products designed just for cats can be found in one place: The Posh Puppy Boutique. Thousands of fun, fashionable and functional pet products are available in one place: the Posh Puppy Boutique. Call us at 888-837-5230 with any questions. Did you rescue your dog, cat or both from a shelter … or did they rescue you? Let the world know you care by equipping your favorite four-legged friend with rescue themed accessories from the Posh Puppy Boutique. Start by calming your new pet—or your current one in a stressful situation—with all-natural Rescue Remedy ($19). Using the supplied dropper, apply four drops to the mouth, nose, ear or paw, or added to food and water. Using a mixture of five flower remedies, Rescue Remedy is alcohol free and perfect for high-stress events such as visits to the vet, shock, trauma or mistreatment, separation anxiety and adapting to new surroundings. This treatment works on many pets, including fish, reptiles and horses. Once your pet is calm, attach a Rescue Enamel Heart Charm ($12) to their collar or leash. This heart-shaped charm is roughly the size of an American dime. Your pet can also tell the world, “I Was Rescued” with a special oxidized ID tag ($30 for petite breeds). It lets you place your furkid’s name and symbol on the front and your phone number on the back. Each tag, which can take up to three weeks to deliver, is also covered with a high performance clear coat to prevent tarnishing. Regardless if your dog or cat “did time in the pet pokey,” or you spent time in your significant other’s doghouse, tell the world with our Did Time Hemp Collar ($19) and Did Time Hemp Leash ($25). Made with hypoallergenic hemp webbing, the collar and leash are trimmed with distinctive rescue-themed ribbon. Designed to become softer with each washing, the collars come in small, medium and large sizes. Medium and large Martingale collars are also available. Leashes are available in 4-foot (5/8ths-inch wide) and 6-foot (1-inch wide) in black with white lettering and themed to match the collars above. A similar hemp collar is available with the words “Pure Rescue” ($19) with apple green webbing and brick red lettering. Other hemp collar choices include “Rescues Rule” ($19) in blue or pink, “Rescues Rock” ($19) in red and “Pound Puppy” ($19) in pink or blue. If you have the desire to enlarge your pet family or help pets, consider visiting the Humane Society of the United States, Pet Finder or even better, your local animal shelter. There are also rescue groups for specific breeds of dogs—like Chihuahuas—and cats—like Siamese. The Posh Puppy Boutique supports several pet-related charities and recently hosted the Placer SPCA Pet Mobile. Even sweet dogs need to have their teeth taken care of. Just because your pooch is the sweetest pet on the planet doesn’t mean he or she can forego dental care. One study sponsored by the Banfield Pet Hospital chain, identified 10 breeds as being the most susceptible to periodontal (dental) disease. These breeds include Toy Poodle, Yorkshire Terrier, Maltese, Pomeranian, Shetland Sheepdog (Sheltie), Cavalier King Charles Spaniel, Papillion, Standard Poodle, Dachshund and Havanese. Dental issues can cause many other serious problems, the study states. These include pain and issues affecting the heart, liver and sinuses, changes in behavior plus diabetes and cancer. Bacteria from dental problems can travel throughout your pet’s body, wreaking havoc and potentially shortening their life. While not stated in the study, dental pain can cause dogs—and cats—to stop eating and that in turn can cause a cascading effect of serious health problems. Here at the Posh Puppy Boutique, we sell several products designed to keep your pet’s teeth shiny white and most importantly, intact for many years to come. Among our products, all of which are designed for pets (human toothbrushes are considered too hard for use on pets) are several toothbrushes. One feature unique to pet toothbrushes is their design: most feature at least two heads designed to scrub above and below your dog’s gumline. The Petosan Sonic Toothbrush ($28), which is battery powered, produces 20,000 bristle strokes per minute. This is faster and more effective than a manual brush. Best of all, this brush is available in a small/medium size and a larger size for bigger breeds. Additional brush heads—suggested to avoid transferring bacteria from one pet to another—are available in a two-pack ($13). This kit has a brush and dog-formulated toothpaste. The Triple Pet Dental Kit ($18) contains a toothbrush and special paste designed for dogs. 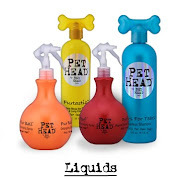 Two heads clean your dog’s outer surfaces while a third head massages their gums. For people and pets on the go, consider adding a Microfiber Finger Brush ($8) that slips over your index finger and lets you gently wipe your dog’s teeth and gums. In addition to brushes, we also sell pet toothpaste like Dog Cain & Able’s Triple Pet Toothpaste ($12). It has a sugar-free natural vanilla flavor. It uses a tartar control formula with a touch of tea tree oil and is non-foaming to eliminate rinsing. You can also help keep your pet’s teeth looking great—and their breath smelling better—by using our TropiClean Water Additive ($19 for a 16-ounce bottle, $23 for the 32-ounce size). Here at the Posh Puppy, we also sell a great outfit that is perfect for a sweet little girl: the Sugar Fairy All-in-one Outfit ($64) from Wooflink. This pink lightweight cotton outfit is covered with hearts topped with a smiling face in gold studs. It is available in five sizes to fit most dogs. This product keeps your dog's nose moist and soft. Mosquitos and sunburn are just as much a nuisance for pets as they for humans. Here at the Posh Puppy Boutique, we have products designed with your dog in mind so he or she can enjoy your summer outings. Flea the Scene ($19) combines an insect repellent and sunscreen in one. It helps keep fleas, mosquitos and other critters away from your pet for up to four hours. Using natural ingredients, it works well as a compliment to regular flea prevention products but contains no pesticides or poisons. It is also free of SLS and parabens and can be safely ingested if your dog licks it. Another product is designed for your dog’s most sensitive organ: their nose. Our Natural Dog Snout Soother ($19) provides instant pain relief for dry, cracked or chapped noses. It also helps with rashes and provides sunscreen protection for your dog’s delicate nose. Designed with light-skinned dogs—and the tips of cats’ ears—our Pet Sunscreen ($16) has a rated sun protection factor of 15. Water soluble, it uses a pump action spray applicator. While not having any sunscreen qualities, our Grapeseed Oil Paw Revitalizer ($25) is designed to help your dog’s paws recover from exposure to hot surfaces such as dirt, concrete and asphalt. Its antioxidant properties, plus a load of vitamins A, E, B5, D and E, help keep your pet’s paws looking and feeling their best. Since summer’s intense heat can make your dog’s daily walks a torturous affair, protect their feet with doggie-designed sneakers. Among our footwear products are some designed to be both functional and very stylish. For example, our Green Camouflage Sneakers ($55) come in eight sizes for a set of four shoes. Decorated with Swarovski crystals on the front shoes, they provide creature comforts for your pet. If green isn’t your favorite color, consider a similar set in Pink Camouflage ($55), Navy ($55) and Red ($55). The Placer SPCA Pet Mobile is visiting the Posh Puppy Boutique. Join the Posh Puppy Boutique in welcoming the Placer SPCA Pet Mobile to our Sacramento-area retail store this weekend. The truck and trailer is at our store from 9 a.m.-noon Saturday, July 7. The store is at 6040 Stanford Ranch Road, Ste. 200, Rocklin. Normal hours are 10 a.m.- 5 p.m. Monday-Friday and 10 a.m.– 2 p.m. Saturday. Gizmo, a 6-year-old short hair Chihuahua, is one of many dogs available for adoption through the Placer SPCA. Several adoptable dogs and cats are coming with the Pet Mobile. Volunteers will be discussing the Placer SPCA’s various programs, including low-cost spay and neuter assistance, rabies vaccinations, microchipping your pets, helping with behavioral issues and opportunities for pet lovers to give back to their community. The Placer SPCA is an independent non-profit group serving the Sacramento-area communities of Rocklin—home to the Posh Puppy Boutique—Roseville, Granite Bay, Auburn, Loomis, Lincoln and Meadow Vista. It does not receive funding from the American Society for the Prevention of Cruelty to Animals or the Humane Society of the United States. The Posh Puppy and Placer SPCA share a common vision: that every adoptable animal has a good, loving home. We sponsor and donate to several non-profit pet-related organizations around the country. Click here for a partial list. Call us at 888-837-5230 with any questions about this weekend’s event or any of our many pet-related products. See you Saturday at your home for couture pet products, the Posh Puppy Boutique. Our cooling bandana only needs water. Help your pet beat the summer heat using some of many innovative products from the Posh Puppy Boutique. Right now you can do this and save 25 percent. One of the easiest, safest and most fashionable ways to help cool your pet off requires only a small amount of water: the Calming and Cooling Pet Bandana ($25). Available in sizes from double extra small to extra large, it contains a chiller pack holding non-toxic water absorbing polymer crystals. These packs use your pet’s heat to slowly evaporate the water, cooling their necks and heads, which makes them far more comfortable. The best part about these bandanas is they come in many different colors. Choices include red, denim, black, fuchsia, saffron, sage, teal and several more. A slightly different version is designed not to cool your pet, but keep harmful pests away. The Insect Shield ® Repellant Bandana ($13) comes in red or tan. It uses a man-made version of a natural insect repellant designed to keep mosquitos, ticks, ants, flies, chiggers and midges away. It is safe, effective and convenient, especially during the dog days of summer. Sleepypods are perfect for dogs and cats. If you are taking off to beat the heat, bring your pet along in style, comfort and safety with the Sleepypod ($240) or Sleepypod Mini ($160). Designed to make travel less stressful on your dog or cat, Sleepypods combine a bed, car seat and travel carrier in one. The bed is ultra-plush and super soft and comes with a machine-washable –and water resistant—liner. The unit is topped with a removable mesh dome while the exterior is a luggage grade nylon shell. A shoulder strap and handle are also part of the package. The total weight of the full-size bed and dome is 4.5 pounds while the mini weighs 3.3 pounds. The original Sleepypod can hold cats up to 15 pounds and dogs to 12.5 pounds. The Sleepypod Mini is designed for cats up to 7 pounds and dogs to 5.5 pounds. Color choices include Strawberry red, blue, arctic white and several others. These Yorkies are entered in our Patriotic Pooch Photo Contest. Why not enter your pup? No matter how you dress your pet, or where you take them, be sure to take photos and enter the Posh Puppy Patriotic Pooch Pet Photo Contest. The winner gets a $50 gift certificate from the Posh Puppy Boutique.